A friend of mine once told me: “If you want to see the most beautiful city in Europe, go to Prague.” Not that I would not believe him, but having been to many famous cities I have learned that each of them is beautiful in its own way. 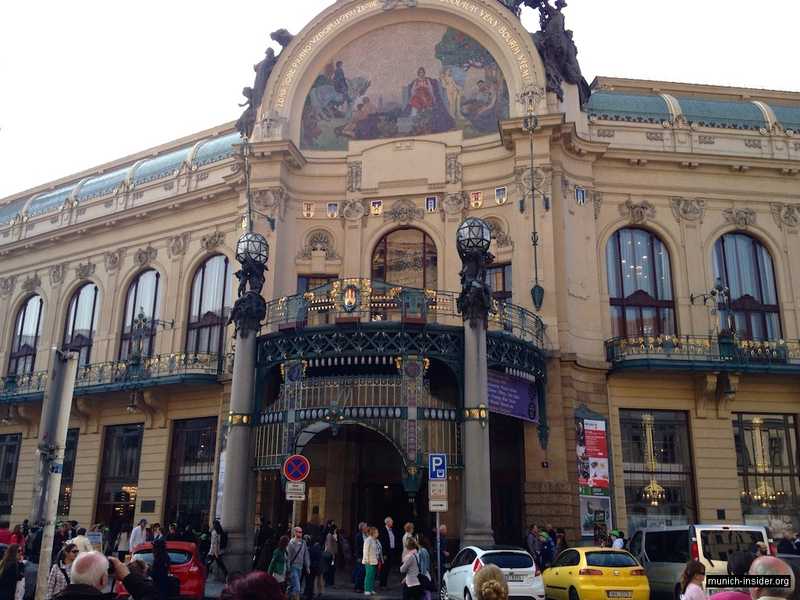 However, the thought of Prague seemed new and interesting. Anyway, we have long wanted to visit the Czech capital and to see “Zlata Praha” with our own eyes. 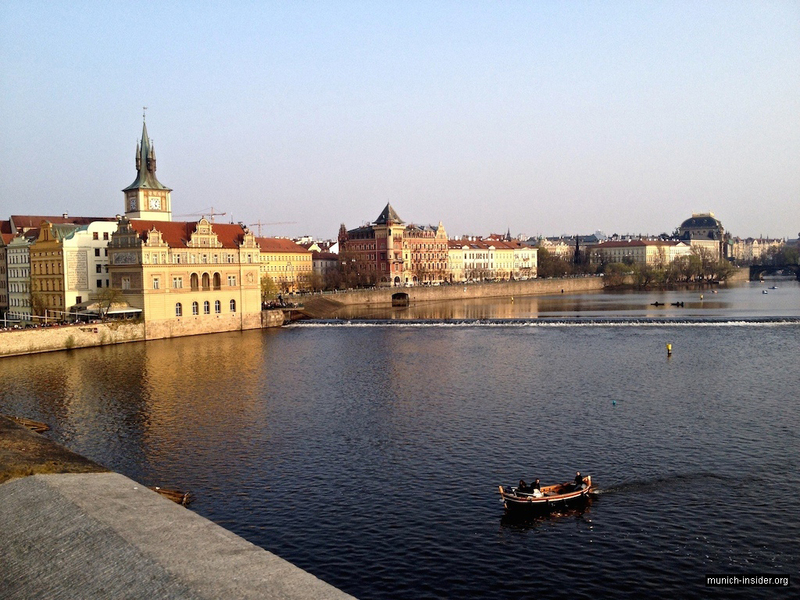 We decided to spend a couple of days in Prague and one warm April weekend we got into the car and headed to the Czech border. 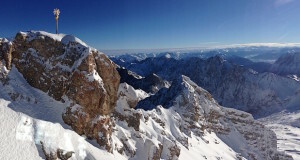 We left Munich at 9 o’clock in the morning. After about an hour, the autobahn traffic became very light and it was a pleasure to drive. By the way, unlike Germany, one has to pay to drive on the highways in the Czech Republic. We bought a vignette allowing the toll highway use at the last gas station in Germany before the border. 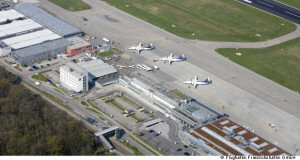 It costs €12 and is valid for 10 days, which is the minimum term. We were pleasantly surprised that Czech highways were half-empty in comparison with German autobahns. Note that, although the country is a member of the European Union, the Czech Republic still has its own currency, koruna (CZK). Koruna has been stable for many years and is convertible. Currency exchange offices are almost at every corner in the downtown; however, rates are better a little farther from the center. There were three places with good exchange rates near our hotel, “Alqush Downtown Hotel”. This hotel is located near the I.P. Pavlova subway station. After checking-in and having a brief rest, we went for a walk in the city. There are numerous attractions in Prague and when I read about them on the Internet, I could not draw a simple and intuitive route to see them all in two days. While in the city, however, we figured out fairly quickly the locations of the main sights, and developed a clear plan for our self-guiding walking tour. The Vltava River flows through the centre of Prague. On the western bank of Vltava, there is the famous Prague Castle (Pražský Hrad), probably the main attraction of the city. 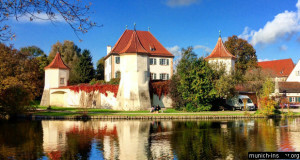 There are some other tourist attractions on the same side, such as the TV tower with the observation deck and Franz Kafka Museum, but we decided to focus on the castle only. We figured that the castle visit would require at least 3-4 hours. Most of the other iconic landmarks are situated to the east from Vltava. The two parts of the Old Town are connected by the famous pedestrian bridge, Charles Bridge (Karlův most). 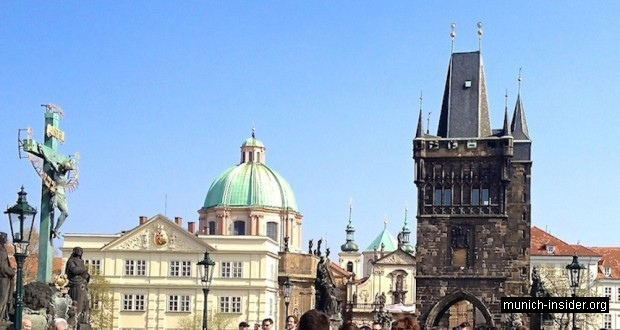 This bridge is a real hallmark of Prague and is always crowded with residents and tourists. 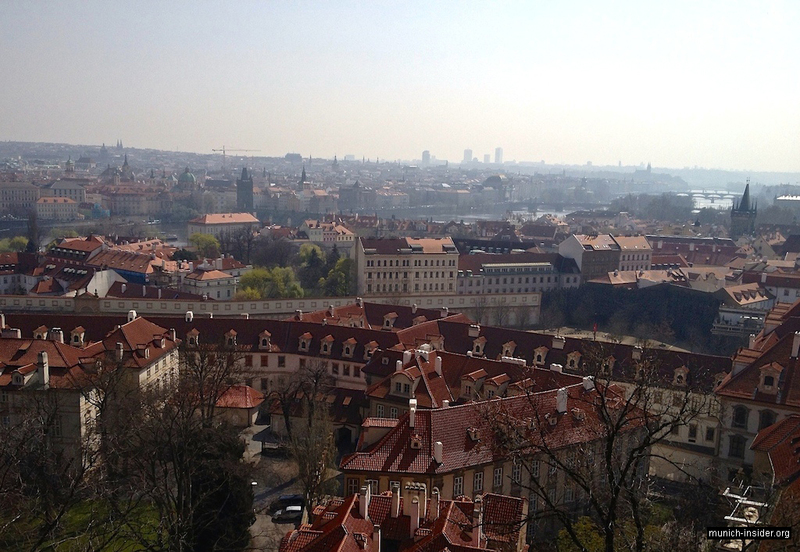 To see Prague, we had only Saturday afternoon and evening plus about half-day on Sunday. We decided to go to the Prague Castle on the departure day, that is, Sunday, and to spend Saturday walking through the rest of the Prague downtown. We also wanted to find a cozy restaurant to spend the evening. Wenceslas Square and Old Town (Václavské náměstí & Staré Město). 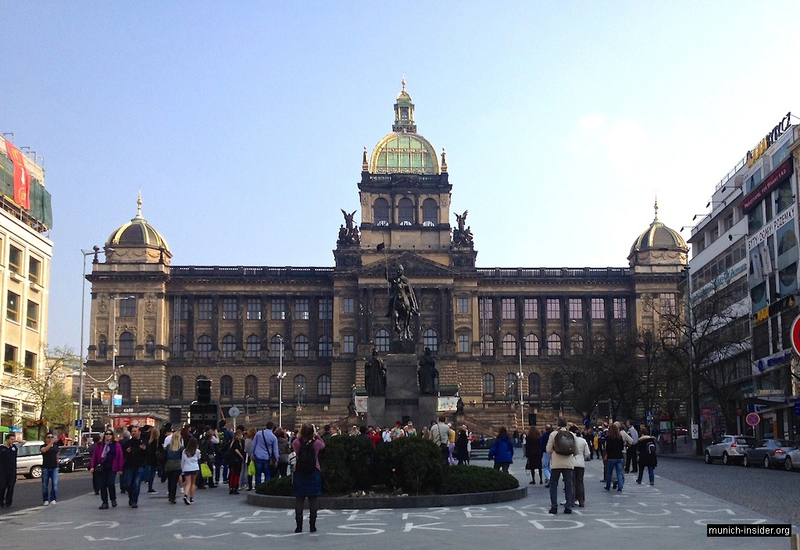 So, from the hotel we headed to the largest city square, Wenceslas Square. It would have been about 15 minutes’ walk, but we wanted to save a bit of energy and used the subway (metro). 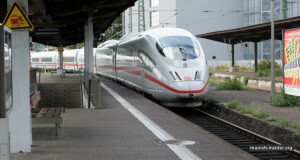 The public transit in Prague does not operate by zones as in Munich; instead, tickets are valid for certain periods of time. We bought the 24-hour tickets for 110 CZK, which is about €4. We went upstairs from the subway at the Muzeum station and were immediately greeted by the splendid view of the Wenceslas Square. It stretches for a kilometer in one direction and resembles a wide boulevard with a pedestrian zone in the middle rather than a square. An elegant building of the National Museum is located at the beginning of the boulevard. Unfortunately, we did not have time to visit it during our short first visit. There is a big statue of a warrior on horseback in front of the museum. This is Prince Wenceslas (Václav), who lived about 1000 years ago and is revered by the Czechs. We walked down the boulevard admiring the magnificent facades of the buildings surrounding the square. The Wenceslas Square was full of tourists from all over the world. At the other end of the Wenceslas Square, opposite to the National Museum, there is a pedestrian street called “Na prikope”. 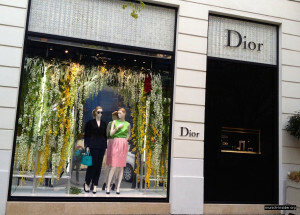 It is full of brand-name boutiques; we checked a couple of them, the prices were quite reasonable by European standards. The Na prikope street is lovely and there is a real architectural masterpiece of the Prague’s Municipal House at the end of the street. The Municipal House was built over 100 years ago during the time of the Austro-Hungarian Empire; it is now used for concerts and exhibitions. It should be noted that what is now considered Old Prague was built primarily during the times of the Austrian Habsburgs when the Czech land was part of the Austrian Empire. Nevertheless, the Czech national character in architecture was preserved; Prague cannot be confused, for example, with Vienna or Budapest. 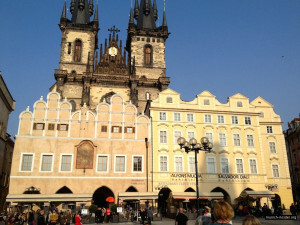 From Na prikope, we walked down the narrow streets of the Old Town to the Old Town Square (Staroměstské náměstí). Actually, this walk could be called “from the New Town (Nové Město) to the Old Town (Staré Město).” The Old Town Square is really old and beautiful. 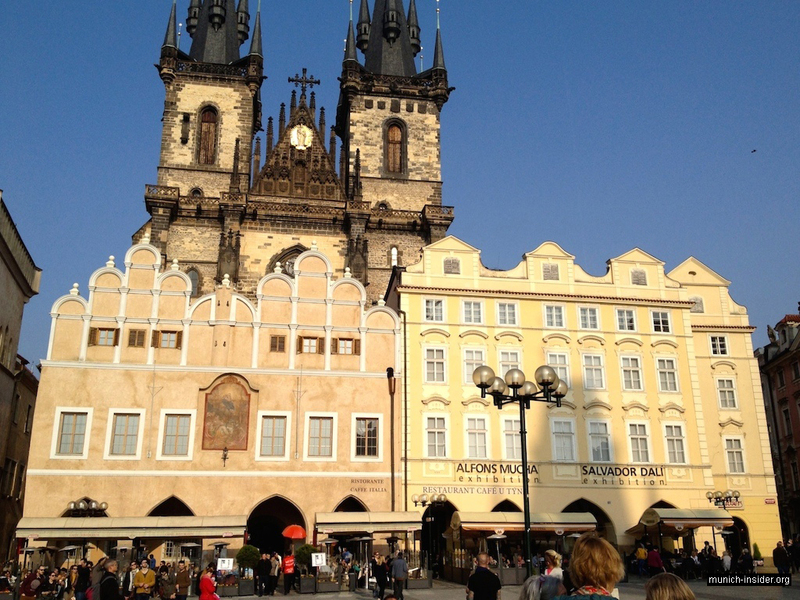 Many tourists come here to see the famous astronomical clock with moving figurines on the Old Town Hall. This clock is about 600 years old. Every hour, the sculptures appear from the small doors, the main among them is a procession of the Twelve Apostles. They say it is the oldest known clock mechanism of this kind. In general, the entire square is very nice and cozy; all around there are shops, galleries and restaurants, where one can just sit back and relax with a cup of coffee, which we did. In one of the galleries on the square, there was an exhibition of works of the famous Hollywood director and animator Tim Burton, the author of Batman. We would have also liked to have a look, but the queue was too long and we did not want to spend precious time standing in line. I even envied the Prague residents, who appeared calm and relaxed as compared with the tourists, and could enjoy everything here in full. So, we moved on along our route and turned from the Old Town Square into the street called Pařížská. 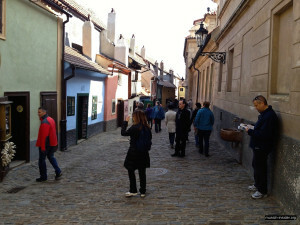 It is probably the most exclusive and expensive street in Prague. Its name translates as Parisian, and indeed it akin to Champs-Élysées if not in the appearance but in the essence. 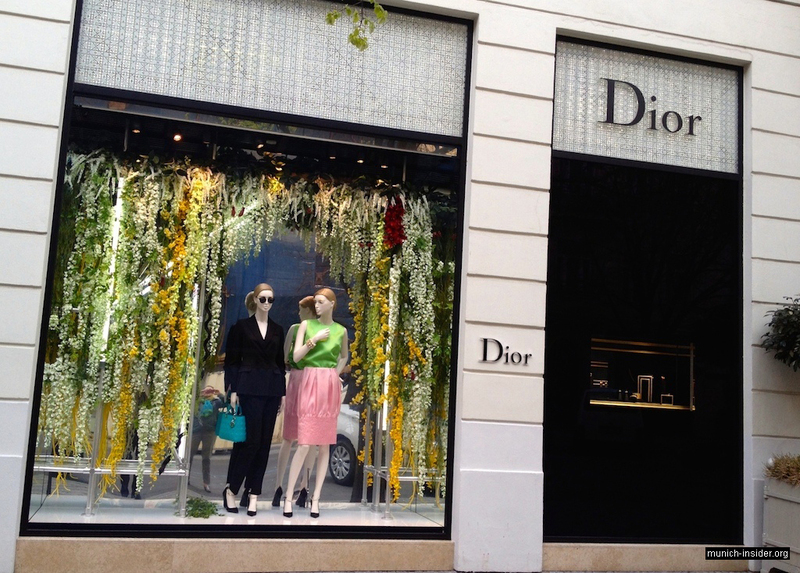 Boutiques of all the world’s brand names can be found on this street. Well, shopping was not one of our goals on this trip, but I had hard time to convince my female companion to continue sightseeing. A couple of blocks from the Old Town Square there is an old district called Josefov. It used to be the Prague’s Jewish quarter. A part of this quarter, including the Old-New (Staronová) Synagogue, is well preserved and restored, so it appears almost as it looked a couple of centuries ago. Despite its somewhat oxymoronic name, the Old-New Synagogue, built in the Gothic style, is the oldest building in the quarter, it is about 800 years old. 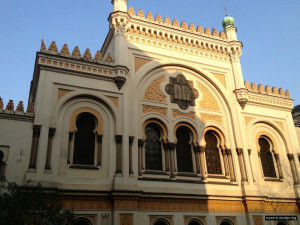 There are several other synagogues here, including the 16th century baroque Klaus Synagogue. The Jewish cemetery is located next to the Klaus Synagogue. There is also the Jewish Museum with a Town Hall in Josefov. The whole appearance of this quarter emanates some medieval mysticism. Indeed, many legends and unusual facts are associated with the Jewish Quarter. For example, there are rumors about a hidden cache with ancient Torah scrolls in the Old-New Synagogue. They also say that the graves are multi-leveled, because Jews were forbidden to bury their dead outside of the ghetto and there was not enough space in the cemetery. 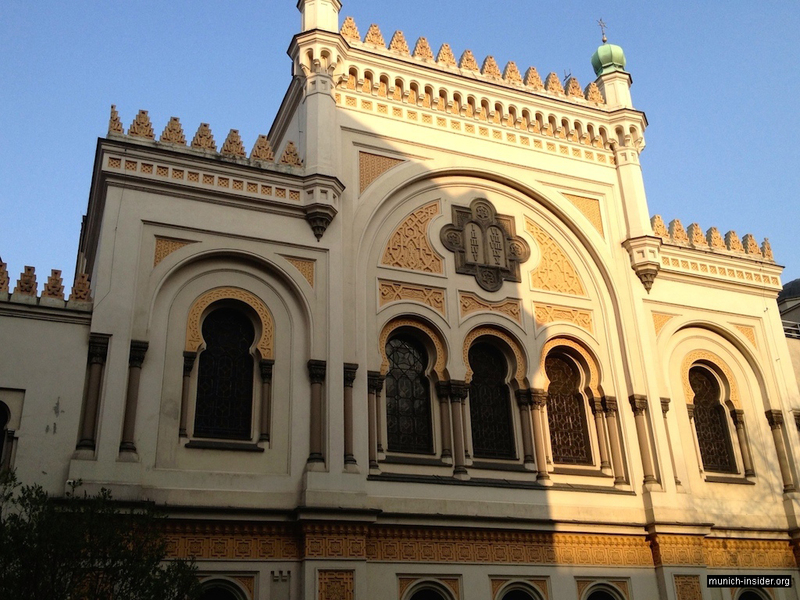 A short walk from the cemetery, one can see a more modern, beautiful building of the Spanish Synagogue. A monument to Franz Kafka is located next to it. By the way, all the synagogues and museums of the Jewish Quarter are open to visitors every day except Saturday (because of the Jewish Sabbath). We were unlucky in this regard, so we will have to come here some other day on our next visit to Prague. From Josefov we came to the promenade on the eastern bank of Vltava and headed left towards the Charles Bridge. A magnificent panorama of the city on the river spanned by several bridges can be seen from the promenade. Many buildings along the promenade are architecturally exquisite, such as the posh building of the Rudolfinum concert hall. 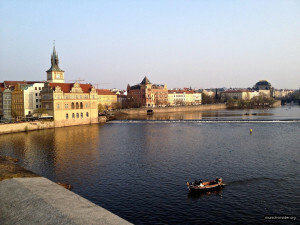 The Vltava river is quite wide and we saw many pleasure boats and tourist cruise vessels. If we had more time, we would have definitely taken a river cruise. As we were getting closer to the Charles Bridge, more and more people were around, and when we finally reached the bridge, we became surrounded by a dense crowd of tourists. The bridge is very old and truly unique in its beauty; it is unlike any other, at least I have never seen another bridge like this one before. Both entrances to the bridge are decorated with ancient stone towers – the Staroměstská (Old Town) Tower on the west bank and the Malostranská (Small Side) Tower on the east side. A few dozen sculptures are situated along the length of the bridge. One can make a wish at three of them. Those who believe in superstitions can try to do the following: touch the two bronze sculptures of Czech Saint Jan (St. John) of Nepomuk and find a cleverly disguised image of a kingfisher bird at the entrance to the bridge. The entire length of the bridge was full of people, mostly tourists, even though it was not the peak season. There were also a lot of street artists and musicians on the bridge. I can only imagine what happens here during the summer holiday period, the bridge must be jam packed. Actually, tourism in Prague is growing every year, and I would not be surprised if the Czechs soon began charging a fee for crossing the Charles Bridge. We crossed to the other side of the river, to the area called Mala Strana (Small Side). Immediately after the bridge, there is the Malostranská Square and a street with souvenir shops. A little further up the block one can get to the Prague Castle. The castle visit was our plan for the next day, however. So, we went back over the bridge to the Old Town and walked further south along the promenade towards the islands on the river. It was already early evening and many buildings were illuminated in the dusk. Especially beautiful was the building of the National Theatre. 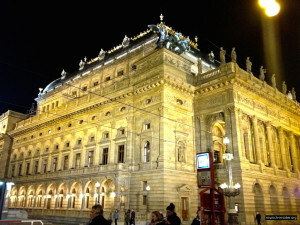 It is the main theater of the country, where they have opera and ballet performances. 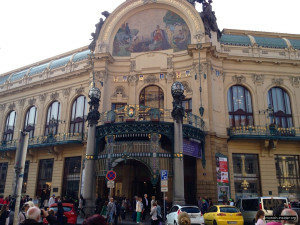 I noticed that this theater, and many other famous buildings and towers in Prague had roofs with a trapezoidal shape; probably this emphasizes a national style in architecture. Well, this is just my guess, I am not an expert. We walked a little further down the promenade to another structure, this time a modern one. This was the so-called Dancing House known worldwide for its unusual architecture. 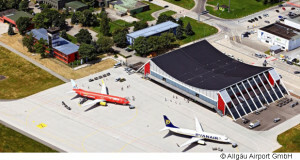 If you look at the building from a distance, you can really see that the structure resembles a pair of dancers – a woman in a skirt to the left and a man with broad shoulders to the right. It was getting late and dark, and we started looking for a restaurant. It did not take long to find one. On the Myslikova street we came across the pub-restaurant “U Bubenicků”. It looked packed to capacity, but the waiter still managed to find a free table for us. The restaurant interior was uniquely decorated in a “beer theme”, the wall murals reflected national character, and the whole atmosphere was very friendly. We started with a round of beer and I ordered another pint when they fetched the meal. They served the famous Pilsner Urquell beer which was very good. The food was also delicious, and the service was fast and courteous. At the end we were pleasantly surprised that the bill for two was a little more than €20. Later we found out that it was normal for Prague restaurants; a usual price for a full meal with a reasonable drink is in the range of €10-15 per person. The Prague Castle is not just a castle or a palace complex, but a small town that has been preserved from the past centuries. So, we did the right thing by devoting a separate day for the castle visit. We took the subway to the Malostranska station and then climbed up the hill for about ten minutes to the castle entrance. 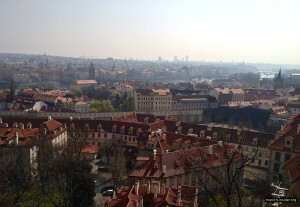 The views of the city were amazing from the lookout in front of the fortifications. We went into the courtyard, found the information office and bought the tickets. The Prague Castle grounds are open daily from 6 am to 10 pm, the box office for admission to historical buildings is open from 9 am to 5 pm (closes at 4 pm from November to March). 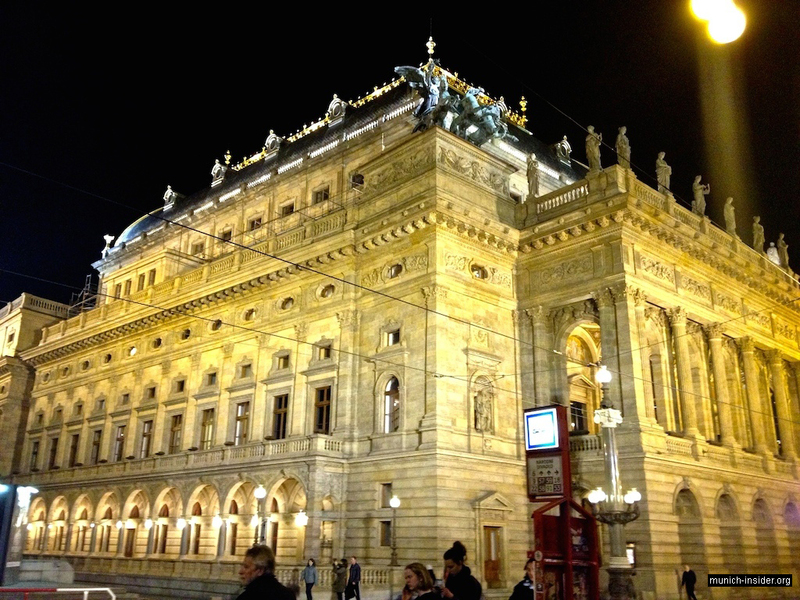 Tickets: small tour – 250 CZK (~€9), big tours (2 variants) – 350 CZK (~€13). The big tours include art galleries and exhibitions, and require at least another hour. Given that, and the fact that there is a lot to see even without the exhibitions and galleries, most of the tourists take a small tour. We followed their example. Our tour started from the Golden Lane (Zlatá ulička). I must say that this small street made the most memorable impression on us, more than anything else in the entire fortress. This street has been preserved in its original form and appears very unusual and cozy at the same time. It is lined with tiny houses which are all different in shape and color. Many generations of Prague citizens lived here since the Middle Ages until the 20th century, one of them was Franz Kafka. They say that mostly common people lived in the Golden Line – security guards, petty officials and so on. Exhibits inside the houses are also very interesting: medieval clothing, knight armory, weapons of all ages, etc. One can try to shoot a crossbow (for extra fee, of course). The room with torture devices also makes quite an impression. Medieval music quietly flows from somewhere, and the whole ambience makes you feel the atmosphere of those centuries. Then you walk down the street, get into every house and see the home environment with everyday objects of different epochs. At the end of the street there is a small movie theater, which is more than a hundred years old. We left the Golden Line through the gate and found ourselves in a small courtyard with a round stone tower. This was the Dalibor Tower (Daliborka) which used to be a dungeon where prisoners were kept and tortured. Inside one can see how it was done. Well, this exhibition is not for the faint of heart. There are plenty of all sorts of cafes for a snack or a cup of coffee in the Prague Castle. We also had a brief coffee break, and then crossed the square to the Old Royal Palace (Starý královský palác). To tell the truth, the palace did not made much of an impression on us, except maybe for the huge throne room for receptions. Okay, old engravings, showing the uprising against the Habsburgs, also left quite an impression. 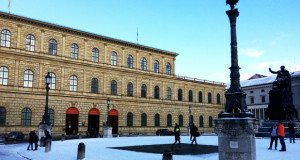 Apparently, the revolt was very brutal – the Czechs threw Austrian nobles from the windows of this palace. There are rooms with precious objects belonging to the royal family and courtiers; it is clear that the royal court was not poor. We did not spend much time in the palace and went to the central square to see the main architectural masterpieces of the Prague Castle. I mean the St. Vitus Cathedral. 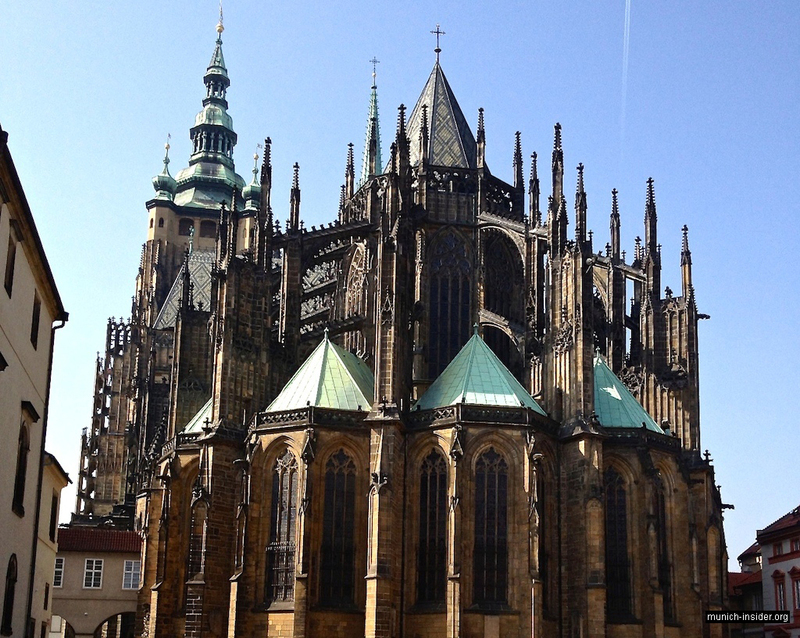 I have seen a lot of Europe’s Gothic churches, but this one really impresses by the size and beauty. Its construction lasted several centuries, and the end result turned out really massive and beautiful. 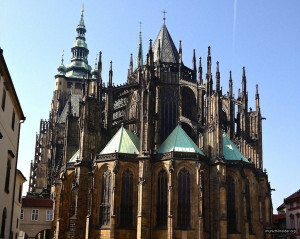 The cathedral, as the entire castle, is situated on a hill, its spires are very high, so it is visible from all parts of the city; indeed a symbol of Prague. There was a line to get inside, but it was moving fast. The interior is typical of the Gothic architecture – very beautiful stained glass windows, rich tombs, etc. All Czech kings and archbishops are buried here. All this was worth seeing. After visiting the Prague castle, we had lunch in a small café on the Malostranská Square. It was cheap, but the food was tasteless and service was poor. I guess this eatery is for hasty tourists only. Therefore, if you have time, it is better to find a place to eat a little farther away from the center. Overall we really enjoyed our trip to Prague despite this minor bad luck at the end.